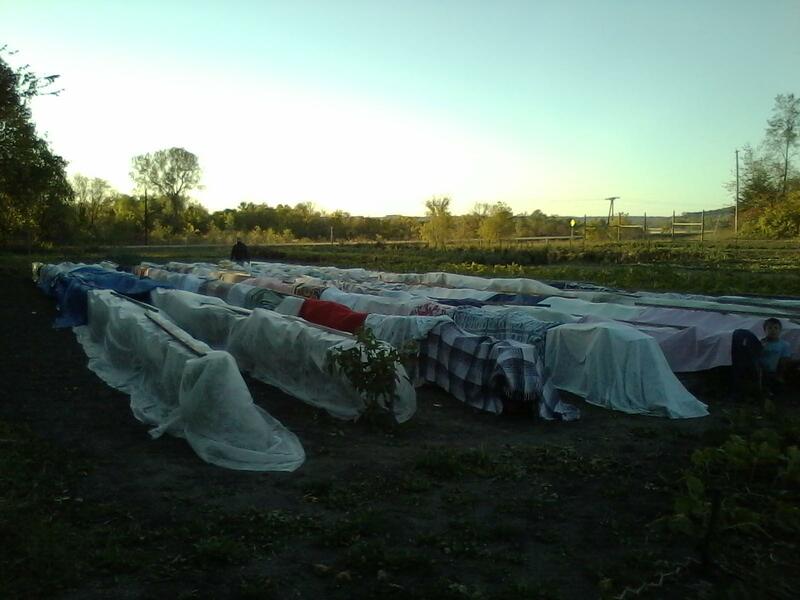 Pepper plants tucked in with row cover and bedding… let’s hope they survive tonight’s low 30’s. Farm News: The squash has been harvested and is curing in the green house as are the sweet potatoes. That also means that with the cooler night temps Adam has had the wood burner going. Always something to see at the farm! 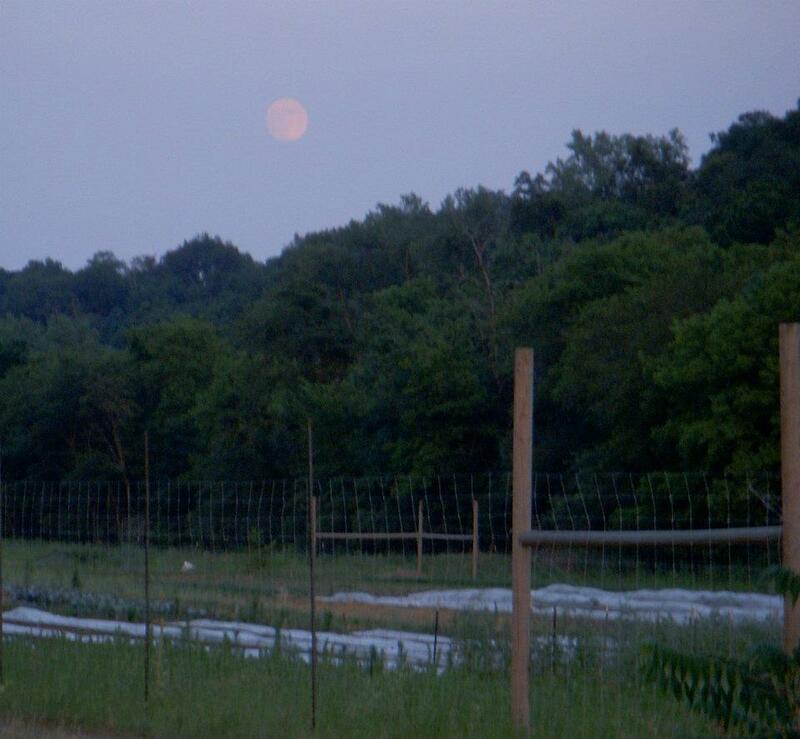 Moon rise on July 2, 2012. Farm News: Temps for Monday night were predicted to drop to the 30’s, which means that tomato plants in the field may not survive. Adam has also been very busy harvesting sweet potatoes which are also sensitive to cold temps and will continue after Mondays CSA harvest/delivery. Gladly, sweet potatoes looked great! 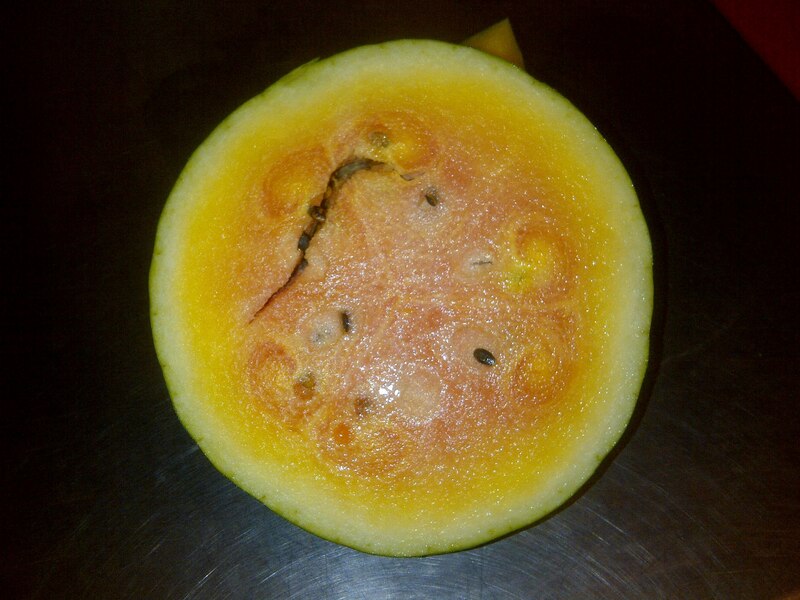 Yellow Watermelon from Living Land Farm! We’ve never seen anything like it, and it’s SOOOO delicious! Farm News: Squash is the latest addition to the deliveries! We did have a few zucchini plants infected by the vine borer however nothing compared to last seasons’ loss of about 80% of all summer and winter squash. Farm News: Saturday was the watermelon feed and it was a perfect day for it! As always it is great to see folks out at the farm. We hope to see you at the fall potluck/pumpkin picking in October. Farm News: Web site helper Leonel here. I was on vacation and didn’t post week 12’s newsletter. My apologies for any inconvenience and confusion this may have caused. What follows is the newsletter as sent by Lupita and Adam via email for the week of August 27, 2012. Enjoy!